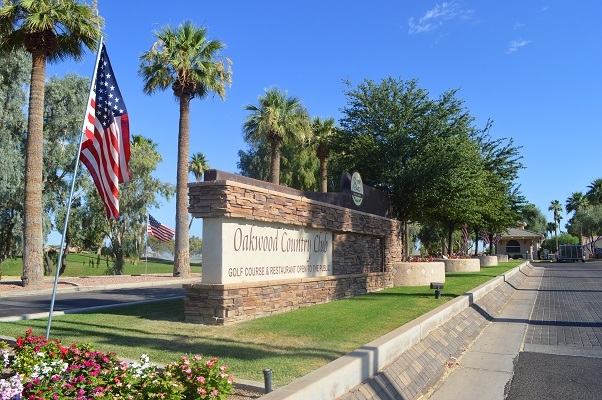 Are you looking for homes for sale in Oakwood Country Club in Sun Lakes Arizona? This gated community is part of the Robson developed Master Planned community of Sun Lakes. Oakwood is the newest of the five Sun Lakes communities with just over 3,200 homes. Oakwood is located at the intersections of Riggs and Alma School roads in the southeast valley bordering Chandler. Less than a half hour from Sky Harbor International and Mesa Gateway Regional airports this location is a top choice for active adult communities in the Phoenix area. Active adult communities provide more than just a home. You are buying a lifestyle. Oakwood offers three 9-hole golf courses, 14 tennis and pickleball courts, fitness center, swimming pool, spa, lakes, walking paths, restaurants and plenty of opportunities to meet new friends. You will find hiking and biking clubs, card clubs, arts, quilting and sewing, theater, dances and many musical performances to enjoy. If this sounds like what you are looking for see Sun Lakes Oakwood homes for sale or visit The KOLB Team at MySunLakesHomes.com or call us at 480-440-0849.